Are apparitions of Mary real? What do they signify? 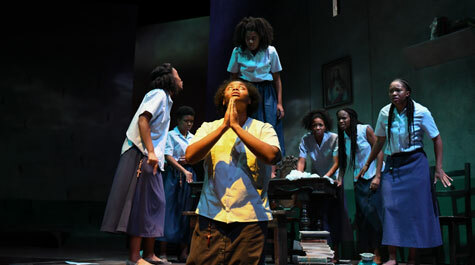 When I viewed a recent College of William and Mary theatrical production of Our Lady of Kibeho, written by Katori Hall, I pondered these questions. Based on a true story, in 1981, there were reports of at least three girls in a Rwandan Catholic school, who all claimed to have received visitations from the Virgin Mary. At first, these visions were positive in character, emphasizing the love of God. But soon, the visions turned dark, depicting a future time when the land of Rwanda would become killing fields, overwhelmed with violence. The visions were warning the people to repent. Initial skepticism of these visions eventually gave way to fear. Thirteen years later, in 1994, Rwanda descended into mass genocide, where somewhere between 500,000 and 1,000,000 Tutsi’s were murdered by Hutu tribes people, which was soon followed by reprisals and civil war. The 2004 film, Hotel Rwanda, tells the story of these atrocities. Some say that the visitations of Our Lady of Kibeho were prophetic warnings that predicted this immense human tragedy. In 2001, a local Roman Catholic bishop deemed these Marian apparitions to be authentic. Immaculée Ilibagiza, whose family was killed during the genocide, survived this ordeal, hiding in a pastor’s bathroom, along with several other women, for weeks. Ilibagiza was a speaker at the Bill Hybel’s Global Leadership Summit, that our church, Williamsburg Community Chapel, satellite hosted, this past summer. Ilibagiza, herself a Roman Catholic, travels the world, sharing her story, the challenge of forgiveness, and the story of the Catholic school girls involved with the Our Lady of Kibeho visitations. As a Protestant evangelical, affirming the principle of sola scriptura, I have my doubts about the authenticity of visitations by the Virgin Mary. I see nothing in the Bible that would lead us to expect the Mother of Jesus to make visionary appearances to Christians in our day and age. To claim such apparitions to be authentic must somehow account for that fact that there are no such visitations to Protestant Christians, at least to my knowledge. Nevertheless, these African girls did see something. I know that some Protestant Christians might think of these extraordinary experiences as being something demonic, but given the message of the visitations, a more moderate and positive view makes more sense. The call to the Rwandan people to repent of their racism was prophetic, and entirely consistent with the teaching of the Scriptures. It is sadly horrible to think that so many people of Rwanda, many who called themselves Christians, were unable to hear and obey that call to repentance. But such a warning should not be limited to Rwandans. Jeremiah 17:9 points to the problem that all humans have, and not just the Rwandans involved in perpetrating the genocide: “The heart is deceitful above all things,and desperately sick; who can understand it?” I may not be able to fully explain the claims of the Marian apparitions, but I can affirm the teaching of the Scriptures that calls sinful humanity to repentance. William and Mary’s production of Our Lady of Kibeho was an A+, in my view. If you ever have the opportunity to see Our Lady of Kibeho, you should do so, even considering the fact that the subject matter is indeed disturbing. The following two videos flesh out some of the stories I highlight here, first a three-minute interview with the William and Mary actors, explaining why the story of Our Lady of Kibeho needs to be told, followed by a twelve-minute CBS interview with Immaculée Ilibagiza. The events during the “Alt-Right” rally of August, 2017, in nearby Charlottesville, are nothing but horrific and tragic. White supremacy reared its ugly head, and it surely needs to be condemned by anyone who claims to follow Jesus. But what are we to make of the memory of Robert E. Lee, the chief, military figurehead of the Confederacy? The monument in Baltimore that was taken down last night, ascribed Lee to be a “Christian.” So, the controversy over how we should best remember the Confederacy, with their monuments, like that of Lee, is crucial, as I have written before, and it matters to people of faith. 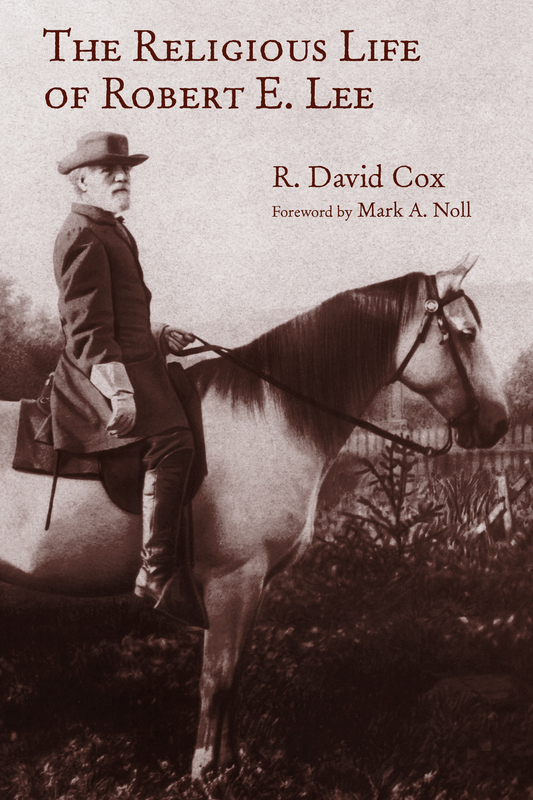 R. David Cox, is a professor of history at Southern Virginia University, and he has written a quite helpful (and timely) book, The Religious Life of Robert E. Lee. Cox researched a treasure trove of Lee’s letters, to construct a narrative as to how Lee understood his Christian faith. 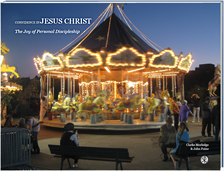 A couple of examples reveal a lot of Lee’s complex relationship with God. Robert E. Lee’s father, Henry Lee, suffered a severe injury, dying when Robert was only 11 years old. Henry Lee had been a decorated officer in George Washington’s Continental Army, during the American Revolution, and was otherwise known as “Light-Horse Harry” Lee. Henry (Harry) Lee was a child of the Enlightenment. He embraced a form of Unitarianism, as his faith. Young Robert E. Lee, though raised in the Episcopal Church, sought to distance himself from the theological and spiritual tension in his home. Like many Southern aristocrats of his generation, Robert mainly sought prestige and honor, and when he grew up, he served in the U.S. Army. In his mid-20’s he fell in love with Mary Custis, also from the Virginia aristocracy stock. But during their courtship, Mary experienced her own evangelical awakening. It seemed as though Robert E. Lee was unable to avoid the influence of evangelical faith in his life. Mary Custis soon had her doubts about Robert, wondering if her prospective husband was ever really a Christian. Yet Robert persisted, and the two were eventually married. Robert remained very quiet about his relationship with God, at least in the early years of marriage and family life. His conversion to Christ was evidently slow and prodding. He was not even confirmed as a member of the Episcopal Church until he was age 46. This was anything but a dramatic, instantaneous conversion. Like any Christian, conscious of their sin, Lee’s sanctification was incomplete. So, it does not surprise me that there were elements in Lee’s character, that were not entirely transformed by the Holy Spirit, later in life. As the writers of the The Atlantic magazine have reported, as late as 1859, Lee had overseen the whipping of several runaway slaves, who were caught and returned to Lee in Arlington. By the eve of the Civil War, Robert E. Lee’s theological outlook was one that struck some midway point between his father’s Unitarianism and his mother’s and wife’s evangelical faith. Lee emphasized the providence of God, primarily in a general sense, in his ambivalence towards slavery. On one hand, he viewed slavery as a moral evil. On the other hand, he believed that God, in His providential care, would eventually resolve the problem. Likewise, when Lee was offered the command of the forces of the Union army, to put down the Southern rebellion, he stated that he would gladly liberate “the enslaved,” in order to have peace. On the other hand, he could not bring himself to strike a sword against his native Virginia. So, he declined the offer to lead the Northern army, and took a commission with Confederate forces. It appears that it was his experience in the Civil War that eventually crystalized his vision of Christian faith, bringing him front and center before his Creator and Redeemer. When it became evident that the South had lost the war, Robert E. Lee saw this, once again, as the hand of providence. But this time, God’s providence was not simply general in nature. It was also personal, as he saw this judgment as being against himself, too. To a captured Union officer, whom Lee had known before the war, Lee said, “Patrick, the only question on which we ever differed, has been settled, and the Lord had decided against me” (p. 198). “God has thought fit to afflict us most deeply and his chastening hand is not yet stayed… How great must be our sins and how unrelenting our obduracy… We have only to submit to his gracious will and pray for his healing mercy… Now that the South is willing to have peace, I hope it may be accorded on a permanent basis; that the afflictions and interests of the country may be united and not a forced and hollow truce formed, to be broken at the first convenient opportunity. To this end all good men should labour.” (p. 198). Lee’s conduct after the war, for me, exemplifies him more as a Christian leader, than anything else in his life. He could have run for public office, written memoirs to establish his name, or anything else that might have secured his reputation as the greatest military leader of the Confederacy. Instead, Lee took the opportunity to try to revitalize the run-down Washington College, in Lexington, Virginia. There, Lee would spend the remaining years of his life, educating young men in what it meant to be “Southern gentlemen,” encouraging them not to revel in a “lost cause.” Rather, he sought to establish a school whereby the next generation would promote healing and reconciliation. It is still difficult to consider Lee’s ambivalent beliefs about slavery, but certainly, as military defeat became inevitable, Lee gained moral clarity that he did not have before. In my mind, this is the description of a man, who understood his sin, and sought to commend himself to the mercy of God, pursuing a path of peace and reconciliation. What makes this all the more poignant about the 2017 Charlottesville protests, is that this is not the portrait of Robert E. Lee that the “alt-right” demonstrators were trying to display. As I understand it, James Alex Fields, the young 20-year old man, who drove his car into a crowd, killing one person, and injuring others, grew up in a father-less home. His disabled mother sought to raise her son, despite the anti-social struggles this young person had in making something of his life. Through his anger, he wrapped himself up in extreme white identity politics. What a contrast this is with the vision of Robert E. Lee, after the war! Lee sought to take young men like this, model for them what it would be like, to live as a Christian, to try to work towards peace and reconciliation. It is recalled that Robert E. Lee, at what is now Washington and Lee University, abolished the mandatory requirement to attend Chapel services at the school. However, Chapel services still went on, and students still attended those services on a regular basis, knowing that Robert E. Lee would be there, too. I can understand why so many people now want to see statues of Robert E. Lee removed from so many public places. The hurt caused by the continued legacy of racism runs very, very deep. We need to tell the stories of those who suffered under the Southern regime of racial slavery, a regime that often invoked the Bible as a type of defense, for this sin. At the same time, I hope for a way to rehabilitate the memory of Robert E. Lee, that promotes healing, instead of firing up anger. Perhaps, instead of having statues of Lee, with his sword, in full military regalia, mounted on his horse, Traveler, we should have something different. Perhaps, our monuments of Lee should show him as a civilian educator, with young men, encouraging them to follow the path of Jesus. Erasing the memory of Lee may seem like a solution, but sadly it will not lead to society’s healing. Instead, we will do far better by recalling a morally chastened Lee, who called his fellow Southerners to mournful and heartfelt repentance. The following lecture by R. David Cox was recorded at the Virginia Historical Society, June, 2017. Having recently returned from a trip to Charleston, South Carolina, I am all too aware of the tragedy of racism, and its intermingling with the story of Christianity in the American South. But I am left with a question: how are we to remember our history? 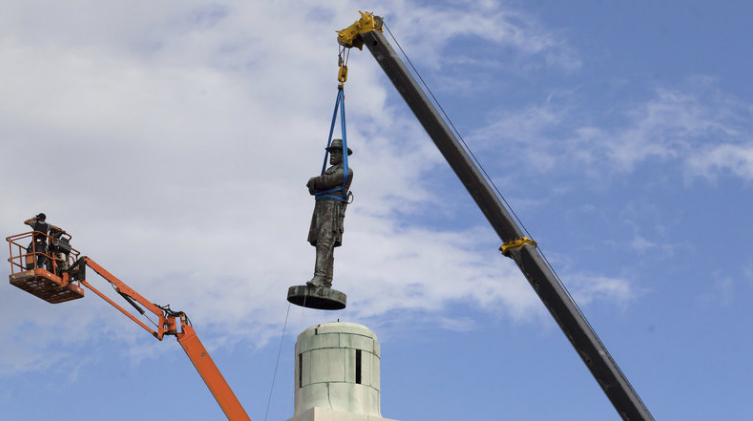 Headlines have been popping up this year, with various cities across the South, such as New Orleans, and Charlottesville, Virginia, that have been removing or planning to remove statues of Robert E. Lee, the Confederate army general, and an evangelical Christian. As might be expected, white supremacist groups, who seek to have Lee fit their agenda, are protesting such statue removals. On the other extreme, counter-protestors deface such monuments. Like the Confederate flag, such symbols mean different things to different people, and their meaning can be hijacked out of their historical context, for good, or for ill.
As long time readers of Veracity know, we regret how the Bible has been misinterpreted and misapplied to justify slavery and condone racism. Efforts to correct tragic misunderstandings of the past, by retelling forgotten stories, are essential. However, I am bothered by this recent trend of dismantling historical monuments. A June essay in the Atlantic magazine, by journalist Adam Serwer, seeks to justify such monument removal. Robert E. Lee, Serwer argues, is not the hero or saintly figure that many defenders of Lee’s heritage seek to admire. In some ways, Serwer is correct, hence, the KKK’s ill-informed effort to make Robert E. Lee into a god. But it would serve Mr. Serwer better to take a closer look at R. David Cox’s The Religious Life of Robert E. Lee, a book on my “to-be-read” list, for hopefully a more in-depth look at Lee’s Christian spirituality, that grew from a type of nominalism; that is, Christian by name only, to a more mature evangelical faith, later in his life. In a rejoinder essay in The National Review, Dan McLaughlin modestly, yet rightly, observes that Serwer’s efforts to attack Robert E. Lee, are more about the present, than they are the past. Robert E. Lee was far from being perfect, and though I greatly respect Lee’s example of Christian faith, I am also painfully aware of the man’s shortcomings. We should be doing more to balance the story, adding historical context, and listen to forgotten voices. But does this mean we should diminish such characters as Robert E. Lee, even with their flaws? How quickly we as humans are prone to forget. I see no need to explore the politics of all of this, except to say that it seems like there is a cultural trend towards trying to erase painful memories of our past. I even wonder what will happen later this fall, when people begin to talk more about the 500th anniversary of when Martin Luther nailed his Ninety-Five Theses, to the church door, that triggered the start of the Protestant Reformation. Surely, some press outlet will release an essay informing of us of Martin Luther’s horrid antisemitic statements he made, late in his life. Luther’s tract, On the Jews and Their Lies, was used by 20th century Nazis as a propaganda tool in their efforts to eliminate Europe’s Jews. Not only that, but in 1525, Martin Luther infamously urged the German princes to brutally put down a peasants revolt, that left thousands of impoverished people dead. Luther’s ill-guided rhetoric, which he later regretted, helped to fuel the indignant imagination of Karl Marx years later, who described religion as being the opiate of the people, which led to other forces of extremism and violence, closer to our own time. 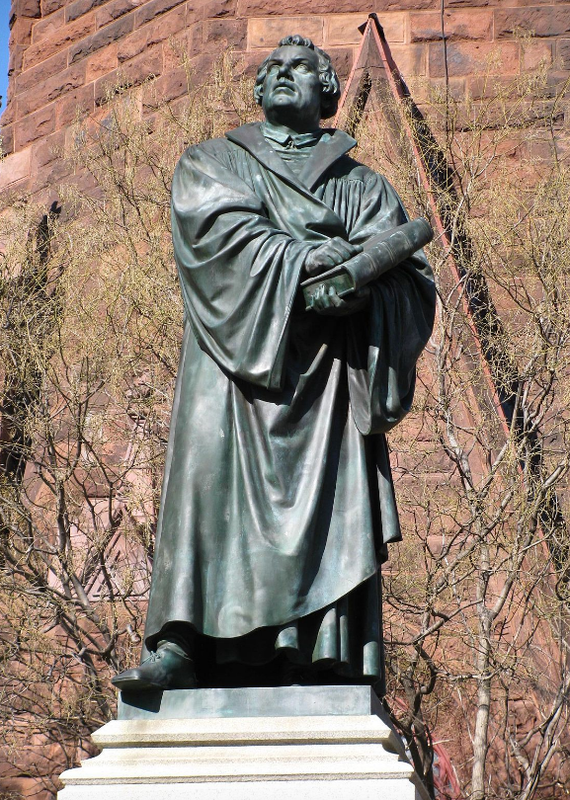 Could it be possible then, for people to start demanding the dismantling of Martin Luther statues, in response to Luther’s shortcomings? Where does the removal of monuments, that recall the dark side of our history, stop? May I suggest that the Bible offers some help here. When reading the Bible, we learn about a whole of host of people whom God used, to help introduce the world to the Messiah, Jesus Christ. In Hebrews 11, many of these names are celebrated in the “Hall of Fame of Faith.” However, all of these figures were tragically flawed. Abraham, the father of Israel, pimped his wife. Moses, who led the people out of Egypt, was a murderer. David, the greatest king in all of Israel, committed brazen adultery, arranged the death of the woman’s husband, and sought to cover up the whole matter. Yet what strikes me about the Bible is that there is no attempt to cover up the flaws of these wayward sinners. Neither the Jews, nor the Christian church, have sought to revise the Bible, in attempt to remove the unsavory character on display. God saw fit to preserve the memory of those whom he used to achieve His purposes, including those parts that we would probably rather forget. We live in an age where we desperately want heroes. However, unflawed heroes are hard to find. In our anger, we find it easy to point out the failures of others, particular of those in the past, but we all too conveniently ignore our own failures. The Bible gives a reason why this is the case: We are all sinful human beings, in need of a Savior (Romans 3:23). Jesus Christ, and Christ alone, is the one who can set things right. Sadly, contemporary society has a hard time recognizing the all-too pervasive impact of sin on all of us. So, we are all too willing to shove those uncomfortable things, like our own sin, under the carpet. So, while there is a trend to remove those aspects of our history that either embarrass us, shame us, or even remind us of our shortcomings, the Bible has a lesson to teach us. Let us remember, as the Bible teaches, not only the good things that God does through human beings, but also those things that remind all of us, how much we all need a Savior, who can heal and redeem us. For a fascinating, albeit disturbing history behind the Robert E. Lee monument in Charlottesville, you should read Brandon Wolfe’s essay. Virginia judge Leon Bazille’s handwritten theological justification for banning interracial marriage. He ends by saying, “The fact that [God] separated the races shows that he did not intend for the races to mix.” What Bible was he reading from? What makes this so tragic for the Gospel is that a racist ideology had for centuries been falsely linked with the Bible. The biblical teaching that prohibited Jews from marrying people outside of the Mosaic covenant had been twisted to say that people of different skin-color, irrespective of God’s covenantal purposes, should not be allowed to marry. Folks, unless you have not figured it out before by reading this blog, Bible interpretation matters. One application of this passage is that sin has its way of being repeated generation after generation, unless it is properly addressed, through confession and repentance. In recent decades, most Christians have thought that interracial marriage is not forbidden by the Bible, but over the past fifty years, this has not always been the case. Why would anyone go around saying “the Bible says,” when in fact, they have no clue as to what the Bible says? At best, that is merely uninformed, or just plain, lazy-thinking Christianity. At worst, it is a subtle way of justifying sin. Furthermore, the fact that it took a secular court to force Christians to rethink how they were misinterpreting the Bible is a scandal in and of itself. I can easily sympathize with what drives the argument, based on how poorly Christians in past eras misinterpreted the Bible. However, unlike the falsehood of racial ideology, the Bible does understand God’s purpose in marriage to have gender as an essential component to it. But how many Christians today think theologically about marriage? Here Genesis sees human gender as a primary way of reflecting God’s character, demonstrating to the world around us, the nature of the God of the Bible. But how many of us think of God’s purpose for marriage in this way, as a means of displaying the attributes of God? The God of the Bible is Triune, the Father and Son in union through the bond of the Spirit, distinct persons yet in fundamental unity with one another. Surely, those Christians from earlier eras who opposed interracial marriage were not theologically sound when they were thinking about marriage. Could it be that Christians today still need to learn more of thinking theologically about marriage? Could it be that we have some more confession and repentance to do today? HT: The Gospel Coalition has a helpful article summarizing the significance behind Loving vs. Virginia. I wanted to briefly encourage Veracity readers about a new movie (and book), Hidden Figures, that explores the lives of several African-American women, who made a vital contribution to America’s space program, in the early 1960s. Like several other recent films, Hidden Figures is set in Virginia, not too far from where I live, in eras when African Americans were either enslaved (The Birth of a Nation), or later segregated from the white community (Loving and Hidden Figures). One of these talented women, Katherine Johnson, worked as a highly skilled mathematician, who at one point in her career, was asked by astronaut John Glenn to verify the reentry trajectory and coordinates for his historic NASA mission, being the first person in space to encircle the earth, in 1962. Many NASA people at the time did not trust the new IBM computers, instead relying on expert mathematicians, like Johnson, to verify the calculations. It is difficult now to comprehend how so many white Christians advocated the corrupt concept of segregation, using the Bible for justification, as in The Birth of a Nation or Loving. In contrast, Hidden Figures, while in a handful of places slipping in needless profanity and inappropriate remarks, has overall a very positive image of Christian faith, as all of the lead African-American female characters are portrayed as actively involved in their church. Though not a “Christian” movie per se, I found it refreshing that a Hollywood movie would portray Christian faith in such a positive light, without also buying into the popular narrative that sees a conflict between science and faith. Plus, the movie is quite funny at times. Most of the women depicted in the film had since left NASA Langley Research Center, in Hampton, Virginia, before I started working there in the mid 1980s, as a computer programmer. The old card punch card systems, like the “new” IBM computer in the movie, were on their way out the door, upon my arrival, so the need for human “computers” to assist in such mathematical work was no longer needed. It is quite remarkable that the story of these pioneering African American women is only now being told, some 55 years later, but it really is a great story to tell. Kudos to author and Hampton, Virginia native, Margot Lee Shetterly, for bringing this story to light.